On Friday, October 10th we celebrated Blue Spirit Day and our success raising more than $13,500 in our annual “UnFundraiser” campaign. 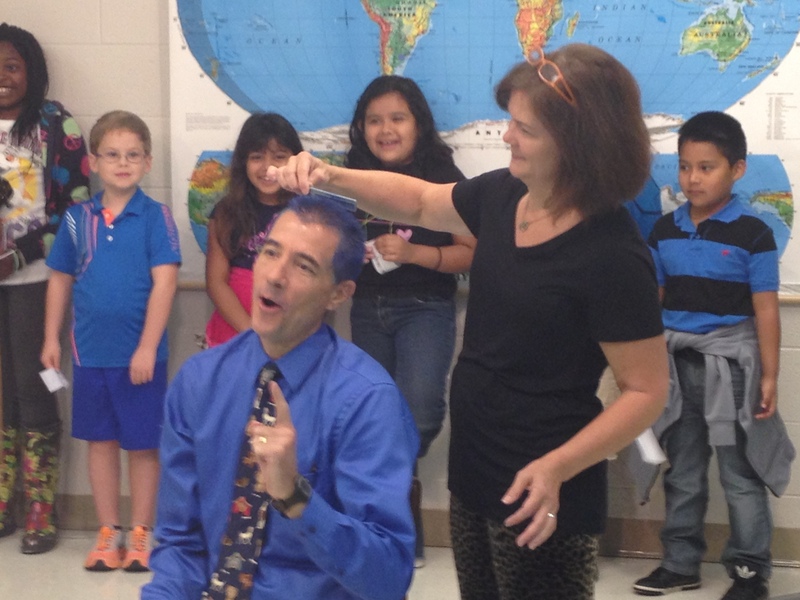 Students, teachers, staff, and parents wore Forest View blue to school, and Mr. Clay had his hair painted blue on the Forest View Morning News! 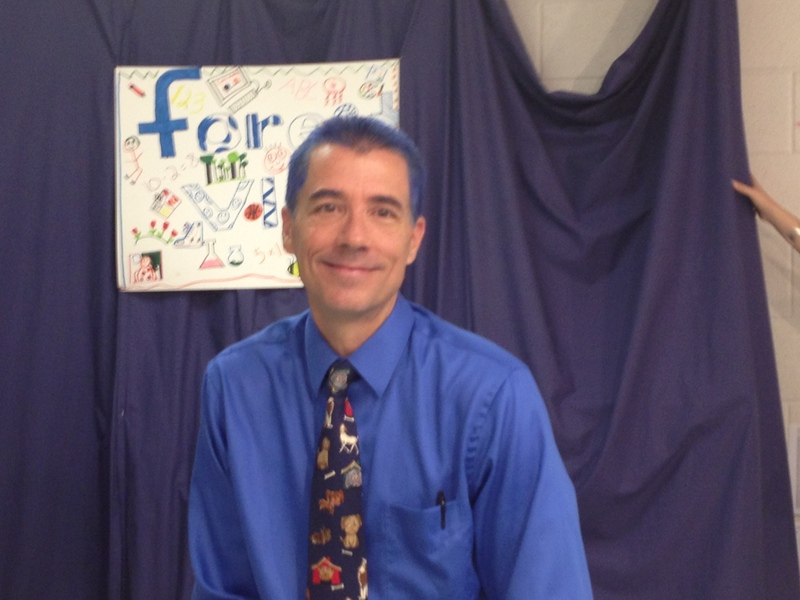 Thank you to everyone who participated in Blue Spirit Day and to those who’ve donated to our UnFundraiser. If you have not yet contributed but would like to, there are three ways to make a tax-deductible donation. You can return the Funds for Forest View flyer with your cash or check to your child’s teacher or to the front office; you can donate online at https://donatenow.networkforgood.org/fundsforforestview; or you can mail your contribution to Forest View. Please make checks payable to Forest View PTA and mail to Mara Deutsch, PTA Treasurer c/o Forest View Elementary, 3007 Mt. Sinai Rd, Durham, NC 27705. Help put us over the top and reach our $15,000 goal!